You can use SONG-CHO Magic Quick Cook Pressure Cooker as a normal cooking pot! 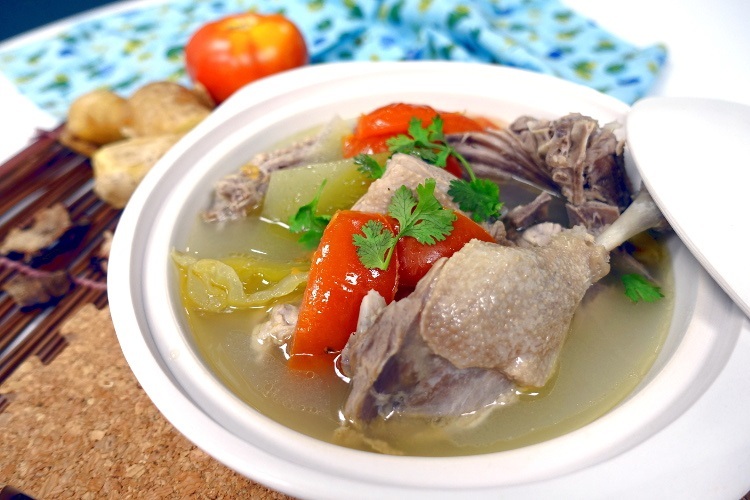 Try this simple appetizing Duck & Pickled Mustard Green Soup! *You may change/adjust the ingredients according to personal preference. Add duck, pickled mustard green, assam skin, ginger, salty plum and water into Magic Quick Cook. Cook for approximately an hour. Add tomatoes and seasoning thereafter, mix well and bring to a boil. Taste and add more seasoning to suit your taste. Serve hot. 把鸭块, 咸菜, 亚参皮, 姜, 咸水梅和清水倒入魔法锅中煮约1小时.